Before reading this article further, I have one question for you: Do you have loads of dirty plates and pans on the sink right now? Be honest. We won’t judge. If you answered yes, well, don’t worry because you’re not alone. I have some, too! In fact, washing dishes is totally my least favorite chore to do. 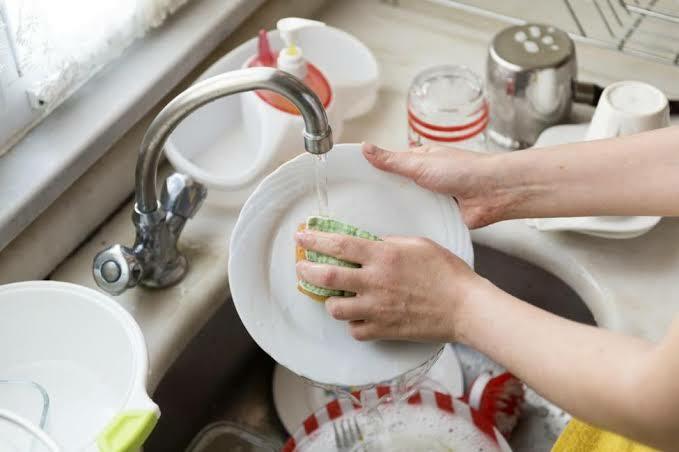 That said, a recent study is telling us that washing dishes can actually decrease a person’s stress level. As long as they do the chore “mindfully,” that is! 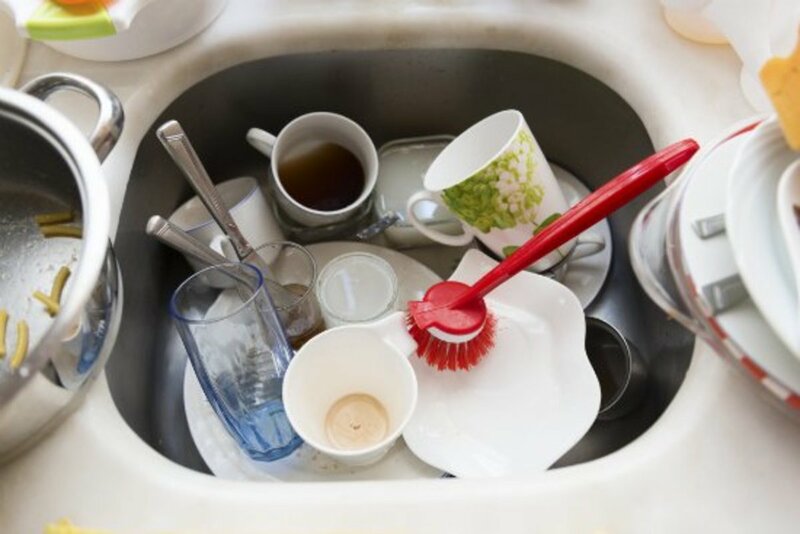 This is according to a group of reseachers from Florida State University who observed 51 students wash dishes. Before they began, half of the students were asked to read “a short mindfulness dishwashing passage” while the remaining ones read “a short descriptive dishwashing passage,” reported a SouthernLiving article. So yes, the researchers are telling us that people who ‘mindfully’ washed their dishes (meaning those who focused on smelling the soap, feeling the water temperature, etc) increased their feelings of inspiration by 25% and decreased their nervousness levels by 27%. “It appears that an everyday activity approached with intentionality and awareness may enhance the state of mindfulness,” wrote the authors of the study. 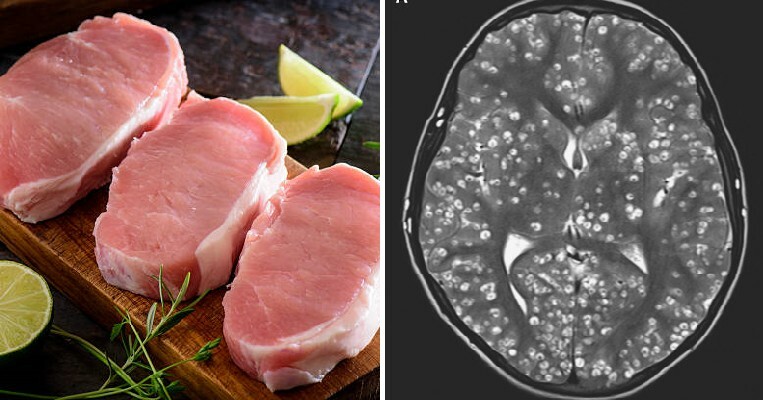 As the X-ray images of the brains of two 3-year old children showed, the brain of the loved child was twice as big as the brain of the neglected one. The Telegraph published an article in 2012, saying that the kid on the right will become a less intelligent adult, less able to empathize with others, more likely to become addicted to drugs and involved in violent crime, and might even develop mental and other serious health problems. 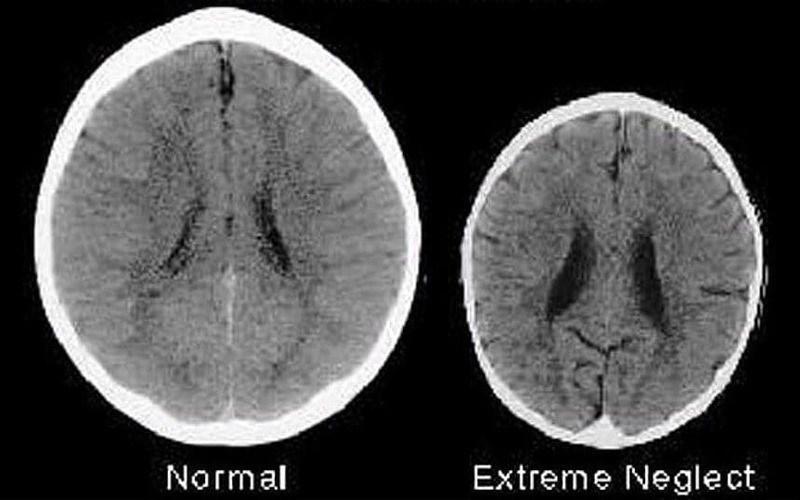 Allan Schore, UCLA psychiatry professor, and one of the leading neurologists in this field claims that the growth of the brain of the baby literally requires positive interaction between mother and infant, as it affects the development of cerebral circuits depends. Schore says that from the beginning of the third trimester of pregnancy to the 24th month of life, if it gets the proper positive experiences, the human brain more than doubles in size. He explains that the unused connections die off. Cells that fire together wire together and do not die together. The brain does not go on growing, but it organizes, then disorganizes, then reorganizes, and the massive death of billions of neurons and disconnection of synapses is a part of the growth process of the brain. The way our genes are encoded is affected by the hormones generated by the relationship between the infant and mother (or the primary caregiver). Schore adds that since endorphins regulate genes positively, just like cortisol, a stress hormone, emotionally enriched (positive) environments are key for infants. This means that positive emotions during the first two years of a child set the tone for the rest of his life. Furthermore, a study that followed 127 children from when they were just about to start school, to early adolescence, scanning their brains throughout, confirm these claims, discovering that motherly love can help children’s brains grow at twice the rate as neglected youngsters. 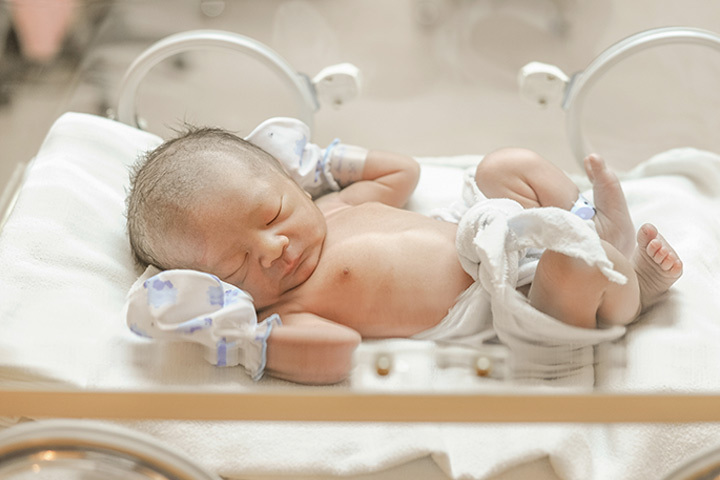 According to the first author Dr. Joan Luby, Washington University child psychiatrist at St Louis Children’s Hospital, says that the findings of the study show that there’s a sensitive period when the brain responds more to maternal support. The parent-child relationship during the preschool period is essential, even more important than when the child gets older. This is believed to be caused by the greater plasticity in the brain when children are younger, as the brain is affected more by experiences very early in life. Therefore, it is essential for children to receive support and nurturing during those early years. Early maternal support affects the brain development of the child, so they encourage policies that help parents become more supportive. Elson M. Haas, MD, a San Rafael, Calif., physician with a natural-medicine approach and author of Staying Healthy with Nutrition (Celestial Arts, 2006) says that the body gives physical signs and symptoms as a way to alert to deeper imbalances. However, before you take a pill and hope that they will disappear, it is better to take the time to decipher the body’s codes, as we actually want to get to the causes of problems, not just suppress the end result of ill health. Vivian Goldschmidt, MA, explains that at such times, the body is actually talking to you, since it responds to everything you encounter, day in and day out. For instance, when we suffer from a headache, we immediately turn to some sort of over-the-counter pain killer in order not to have to stop our daily activities, and we do not even consider the cause of the headache. However, a headache is not normal, and it is actually the time when the body is telling us that something isn’t right. A headache can mean our muscles are tense, we are dehydrated, or we lack sleep, and the pain-killer approach never takes care of the problem that caused the headache to begin with. She advises to take a moment to focus on your body, and you may be surprised by what you discover. Spare a minute to listen to your body’s needs and it will reveal a lot about the way you react to the environment, diet, and other factors. 16. Stunted or uneven teeth- This might be a result of the habit of grinding the teeth while sleeping, usually associated with increased stress. You should never ignore the signals your body sends since they directly reflect your state of health. If you experience problematic changes, always schedule an appointment with your doctor. 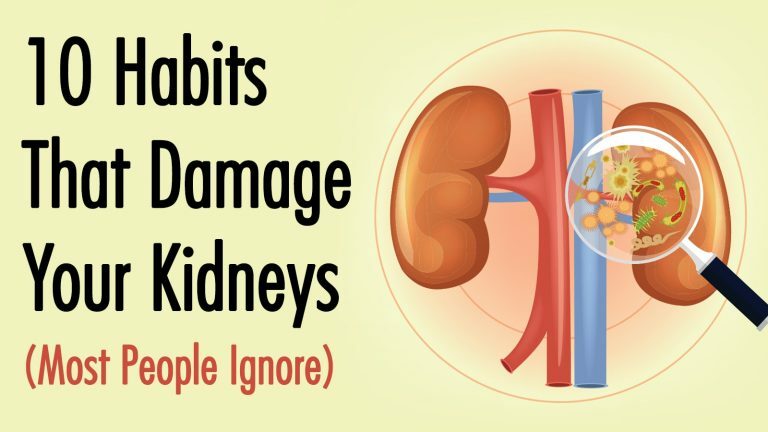 Despite avoiding these 10 habits, you should also incorporate other beneficial ones, that will support the function of the kidneys and ensure their health. Reduce the intake of phosphorous. 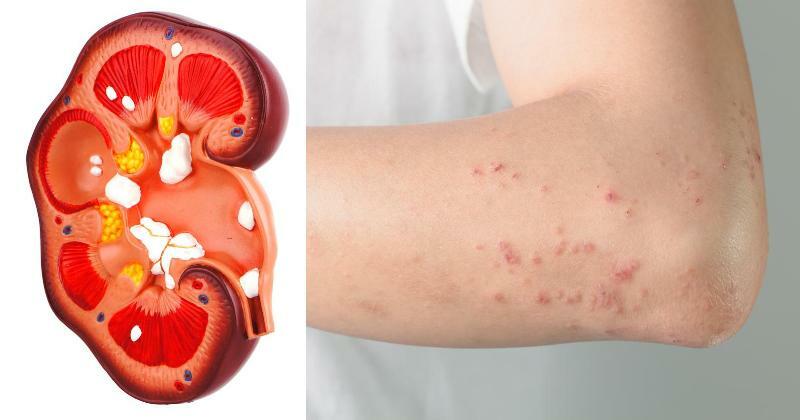 When kidneys do not function normally, phosphorus buildups in the body, leading to serious conditions, such as bone and heart disorders, as well as calcification (hardening) of tissues. Eat kidney-supportive foods, such as cilantro, parsley, watermelon, cranberries, blueberries, strawberries, apples, cabbage, cauliflower, peppers, garlic, onions, olive oil. Take daily probiotics, as probiotics (good bacteria) help your kidneys process waste materials and improve digestive health. 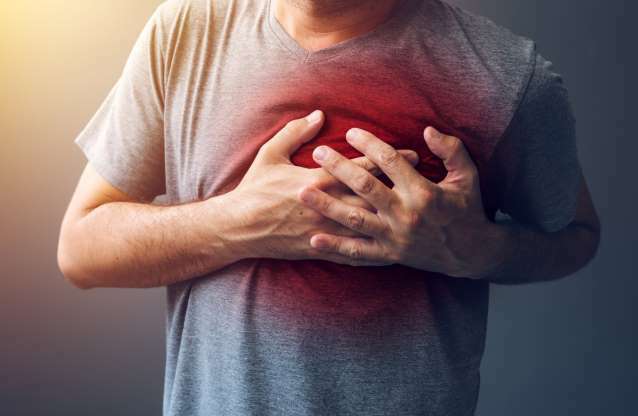 Avoid pain relievers, especially non-steroidal anti-inflammatory drugs (NSAIDs), like aspirin, ibuprofen (Advil, Motrin, Nuprin), naproxen (Aleve), and acetaminophen (Tylenol). Take Epsom salts baths. 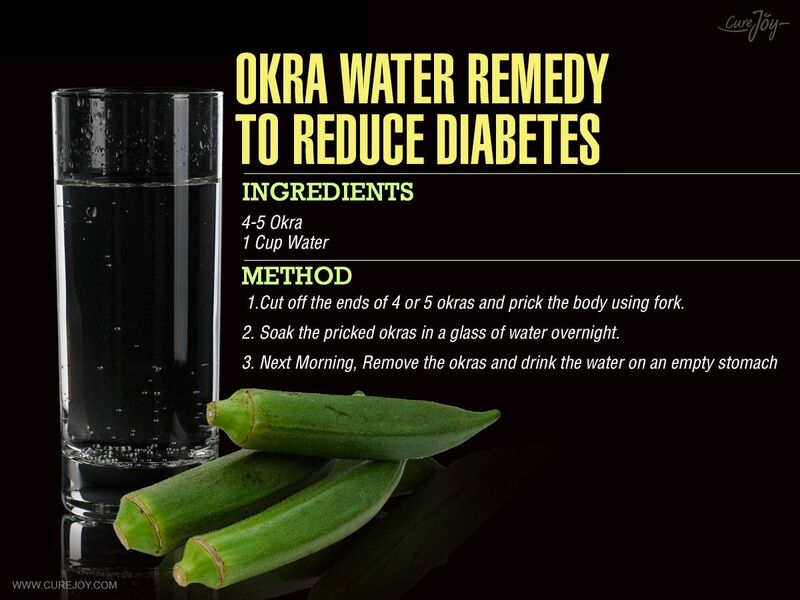 Such a bath detoxifies the body, removes waste, and boosts the kidneys while improving overall health. Drink green juice. Green foods detoxify the body. Lose weight. Obesity increases the risk of developing kidney cancer. 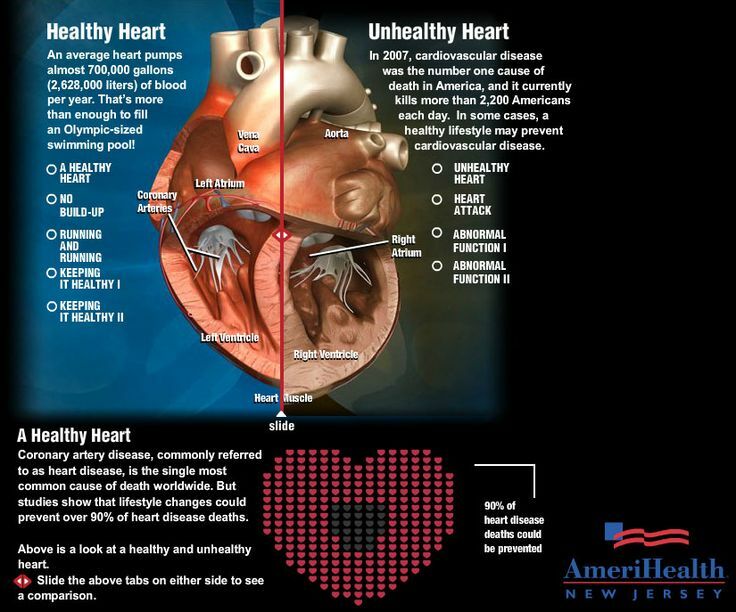 Physical inactivity has been associated with numerous health issues, but studies have shown that by starting any type of physical exercise, one can prevent chronic disease, premature death, and improve health as well as the quality of life. The time spent outdoors instantly improves our mood and calms us, but hiking in nature can reduce rumination, neutralizes the negative energy, and prevents anxiety. Proceedings of the National Academy of Sciences published a study which found that spending time in nature drastically reduces these obsessive, negative thoughts. Namely, researchers compared the reported rumination of participants who hiked through either an urban or a natural environment and discovered that those who walked for 90 minutes in a natural environment reported reduced levels of rumination and has reduced neural activity in the subgenual prefrontal cortex, the brain area related to mental illness. On the other hand, participants who walked through the urban environment did not report reduced rumination. Additionally, they noticed that increased urbanization closely correlates with increased instances of depression and other mental illness. Also, psychologists Ruth Ann Atchley and David L. Strayer conducted another study which showed that creative problem solving can be significantly improved by both disconnecting from technology and reconnecting with nature. They agreed that both technology and urban noise are incredibly disruptive to our cognitive thinking since they are constantly demanding our attention and preventing us from focusing. Therefore, the time spent hiking in nature, away from technology, will improve creative thinking, soothe the mind, and treat mental fatigue. Hiking also improves ADHD in children, and their symptoms including difficulties with impulse control and staying focused, distractions, and excessive hyperactivity. The study conducted by Frances E Kup, Ph.D., and Andrea Faber Taylor, Ph.D., confirmed that exposing them to “green outdoor activities” drastically reduces symptoms. 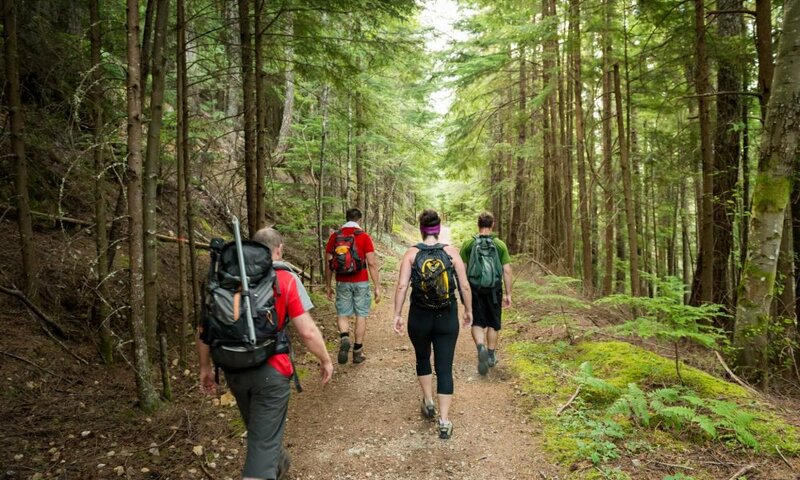 Hiking is a great exercise that burns between 400 – 700 calories per hour and is easier on the joints than other activities like running. Moreover, researchers from the University of British Columbia found that aerobic exercise increases hippocampal volume — the brain part associated with spatial and episodic memory — in women over the age of 70, improves memory loss, lowers stress and anxiety, boosts self-esteem, and releases endorphins. 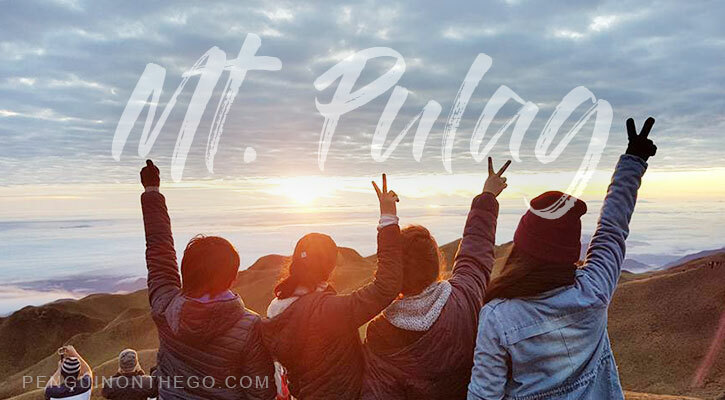 What’s more, it is easy to start hiking and reap all its benefits. Just start out small and test your abilities, see what works for you. You will need good hiking shoes, a hat, light clothing, and a water bottle. You can also buy trekking poles, that will boost your speed and take some pressure off your knees. You can find maps of trails online, download some smartphone app to help you as well, and then just turn off the signal of your phone, and enjoy the tour! It belongs to the Cucurbitaceae family, along with cantaloupe, pumpkin and similar plants that grow on vines on the ground. Watermelons are round, oblong or spherical in shape, light to dark green in color, with lighter mottling stripes, and usually, their flesh is brightly red. They are full of water, 92% to be more precise, as well as beta-carotene, folate, vitamin C, vitamin B5 and smaller amounts of B1, B2, B3, and B6. Watermelons are also high in essential minerals such as calcium, magnesium, phosphorus, potassium, sodium and smaller amounts of copper, iron, and zinc. 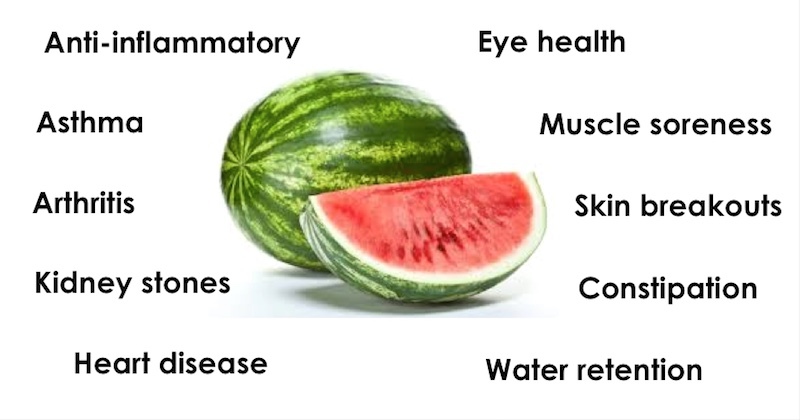 Watermelons contain the red carotenoids pigment lycopene, which is a potent antioxidant, as well as citrulline, another important and beneficial compound. -- Being abundant in various minerals, watermelon juice replenishes electrolytes lost after a good workout and treats symptoms like muscle aches, spasms, twitches, and weakness; restlessness, frequent headaches, insomnia, heart palpitations, fatigue, numbness and pain in joints, and dizziness. 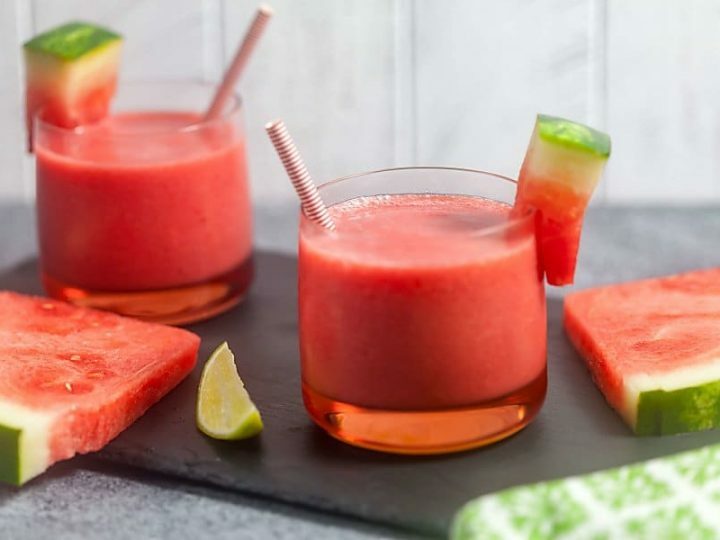 -- Drinking watermelon juice relaxes and dilates the blood vessels and boosts energy levels and stamina, so it can act as a natural Viagra, and treats mild erectile dysfunction. 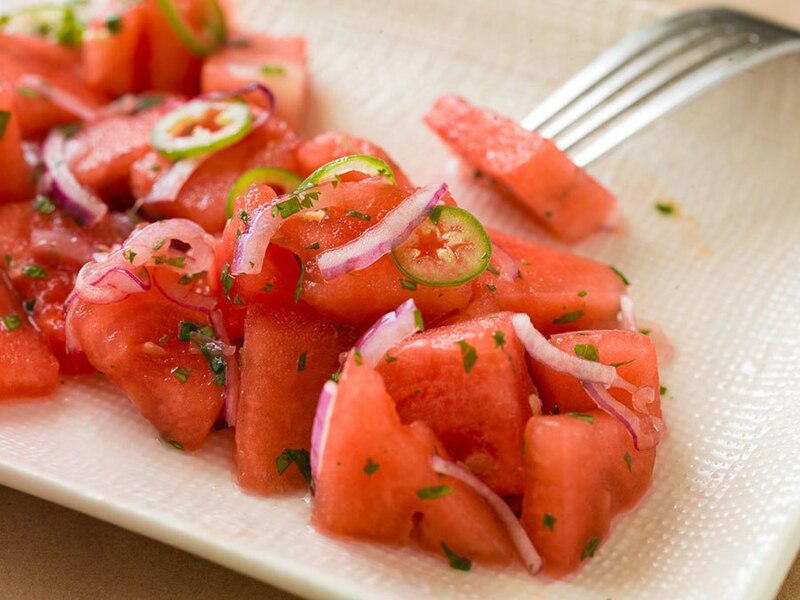 Additionally, watermelon seeds are also rich in nutrients, healthy fats, and minerals like magnesium, iron, and zinc. 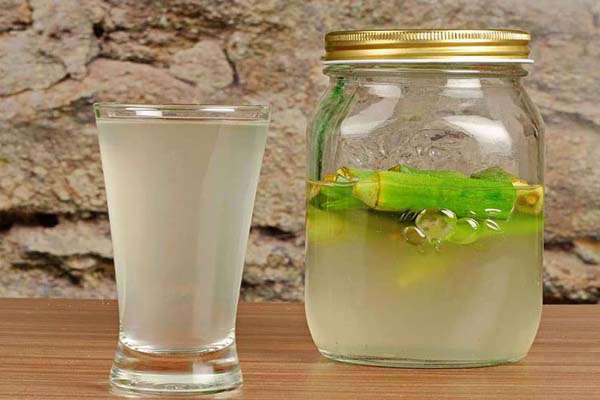 Therefore, they suppress appetite, energize the body, strengthen the hair, skin, and nails, accelerate metabolism, and prevent anemia, fatigue, depression. In the blender, mix the watermelon, honeydew, cantaloupe, and ice. Then, add the lemon-lime soda and puree until smooth. To drain some of the moisture, spread watermelon, yellow tomato, and red tomato onto paper towels. Then, transfer them to a large bowl. In a smaller bowl, whisk vinegar, olive oil, chile-garlic sauce, and honey together, and then pour the mixture over the first one. Season with lemon basil, salt, and black pepper. In a large bowl, mix the watermelon, sugar, lemon juice, and salt, and stir well. Cover with plastic wrap and store it in the refrigerator for half an hour. 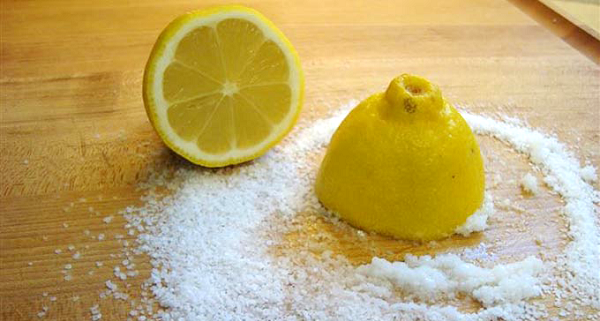 Then, blend it in a blender until smooth, and return it to the bowl. In a saucepan, pour the cold water, sprinkle the gelatin, and let it stand for a minute. Then, cook over low heat for 2 minutes. Add the gelatin mixture to the blended watermelon mixture, add the heavy cream, and beat with an electric hand mixer at medium speed until you get a fluffy mixture. Next, transfer it to an ice cream maker, and freeze it until it reaches “soft-serve” consistency. 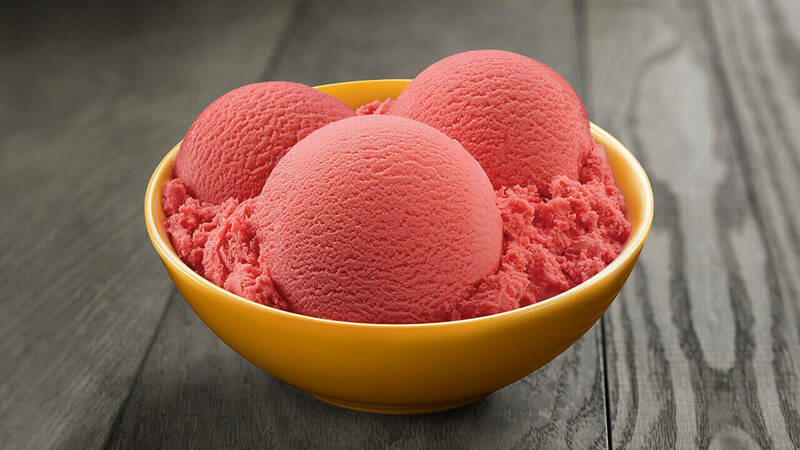 Transfer the ice cream to a suitable plastic container, cover with plastic wrap, and seal. Leave it in the freezer for at least 2 hours, or overnight. Wondering where that random muscle pain is coming from? 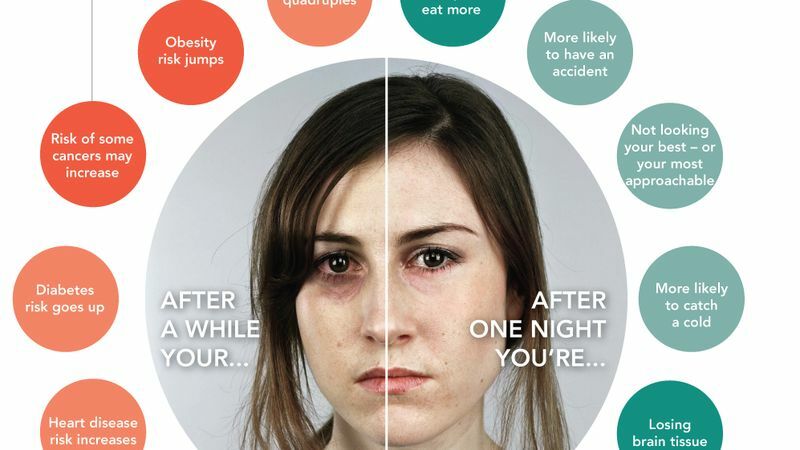 Take a look at your stress levels. 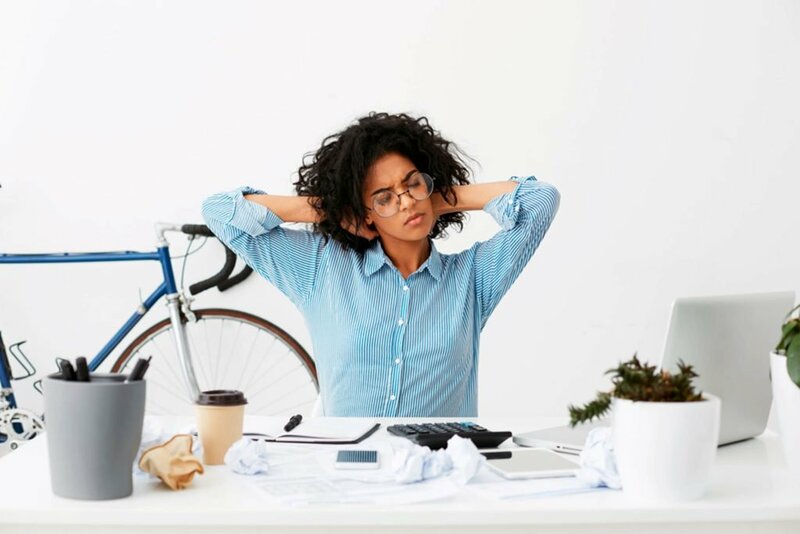 According to experts, stress is much more than a mental issue—it can manifest and get stored in your body, causing serious physical problems. 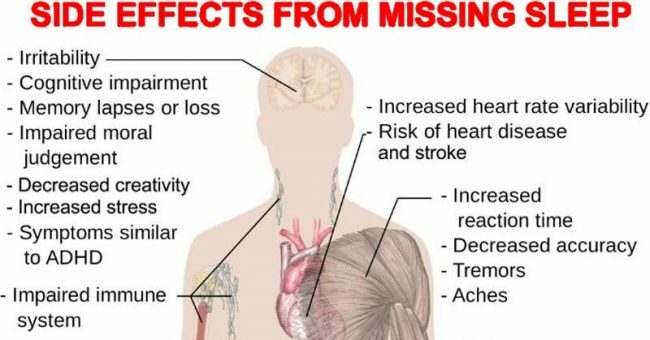 The effects of our production of high levels of cortisol can be felt all over the body. Dr. Trattner tends to see it manifest in the form of weight gain around the trunk of the body, while other practitioners see stress stored in various areas, like the neck, head, and shoulders. Aside from medical help, like regular chiropractic adjustments or mild painkillers, just talking about what’s currently stressing you out can alleviate your physical stress symptoms. Undoubtedly, there is nothing stranger that to wake up and not being able to move any part of the body, even though you are completely aware of everything around you. This condition is known as sleep paralysis, and is an extremely frightening phenomenon. 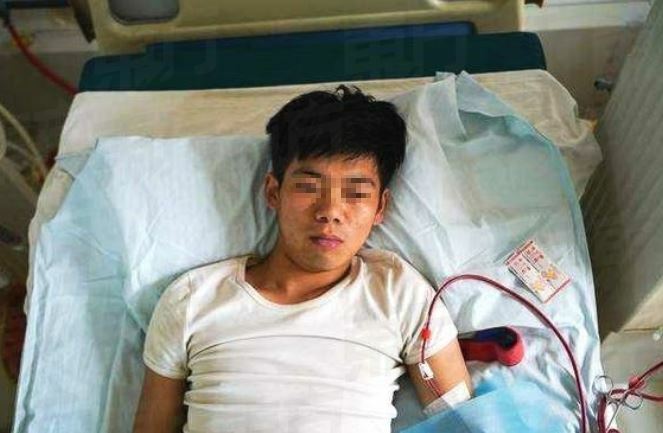 In this case, the individual is entirely conscious, but his/her body is absolutely paralysed. Since the person cannot control the body, he becomes really terrified and disturbed. On the other hand, during REM sleep, the muscles are paralyzed, but as soon as the individual experiences hypnopompic sleep paralysis, some part of his brain wakes. Yet, this does not mean that the part of the brain that controls the REM paralysis wakes as well. Therefore, one may be in an awaken state, but he cannot voluntary control his muscles. Furthermore, you should reduce or completely eliminate the intake of caffeine, nicotine, alcohol/drugs, nicotine and caffeine, and do not keep your electronic devices close to your bed while sleeping. However, if you have experiences a sleep paralysis, it is likely to happen again, so remember that it is nothing terrifying and it will pass soon, so you should try to stay calm. Amazing information was discovered that can help with migraines. Apparently there is a natural way that can help stop them in their tracks within minutes. 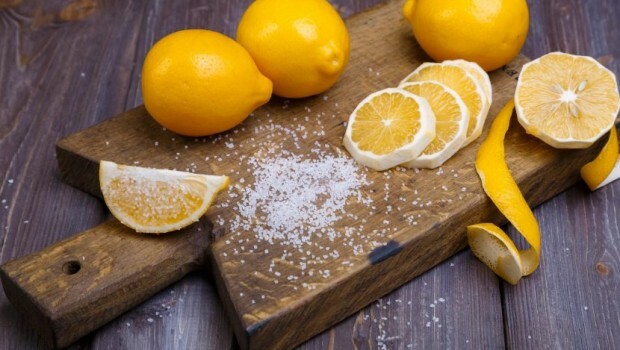 You need three things: water, lemon juice from a lemon, and two teaspoons of salt. Combine the ingredients and drink. Wait a few minutes. Things that you should keep in mind when choosing ingredients include that the salt should be of good quality. Pink Himalayan sea salt is a good one due to the 80 different trace minerals that it contains (including magnesium.) Eating salt quickly is proven to raise levels of serotonin. That helps to quell pain and inflammation. Migraines affect almost 1 out of every 10 people. That is 36 million Americans. Interestingly enough migraines are in the top twenty complaints that cause people to call in sick for work. For the unlucky 10 percent of people that get migraines, I’m sure the question often is “Why Me?” as they think about ramming their head repeatedly against a wall. I obviously can’t tell you specifically, but I do have a list of causes. See if any seem to relate to your situation and if so, maybe you can head some things off before they start. Stress can be a cause. Migraines can start as a stress headache and then once the wheels get moving it goes to full blown migraine in no time. Alcohol consumption can cause some people to develop migraines. Allergies can set off a chain reaction that develops into a migraine. Deficiencies in vitamins and minerals can also cause a migraine to start. Apparently you can become dehydrated even if you drink a lot of water. This is because when the electrolytes in your body are low, your body works to remove the excess water to get it even with the electrolytes. They call this balance a state of homeostasis. Additionally it is theorized that migraines themselves can cause dehydration. That is sure to start a vicious cycle if that is the case. Dehydration causes migraines, which further deplete the body of hydration and in turn more migraines occur. No wonder they can last for days as your body struggles to find a balance that is providing the proper hydration. Previous to my research for this article I knew very little about electrolytes except that they are something contained in Gatorade. Now I know that electrolytes are actually minerals in your body that have a positive electrical charge. The functions that these electrolytes are responsible for helping carry out are some of the biggest processes in the body. Including supporting nerve function, regulating cardiovascular system, and regulating muscle function. Another mineral that has an important part in all of this is magnesium. Magnesium is a natural anti-inflammatory. It is thought that migraines are an inflammatory response. This explains the good quality salt required for the Magic Potion above to stop your headache. 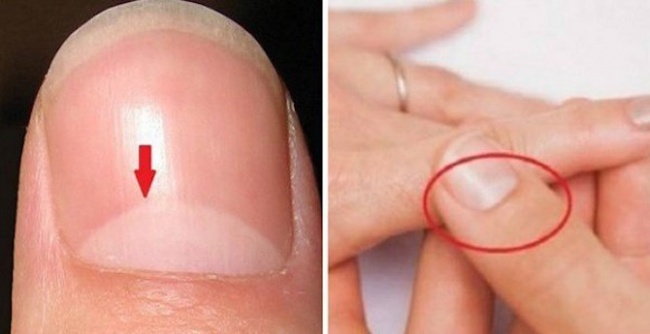 the magnesium from the salt will help combat the inflammatory ruckus in your head.